HOUSTON, May 14, 2015 – Sentai Filmworks is proud to announce its latest acquisition, Hamatora. An original concept of Natsu Matsumai and Yūki Kodama, this series takes place in a fictional 2014 where certain humans called Minimum Holders are discovered to have special abilities. The story focuses on Minimum Holder Nice who forms a detective agency and starts gathering a large number of allies and enemies. Seiji Kishi, alongside Hiroshi Kimura, directed the series, while Jun Kumagai and Toko Machida provided series composition. Makoto Yoshimori, having been involved in the series Baccano! and Durarara! !, coordinated the music. Character designs were by Eriko Itō, Yū Wazu and Yūki Kodama and animation production was by NAZ. 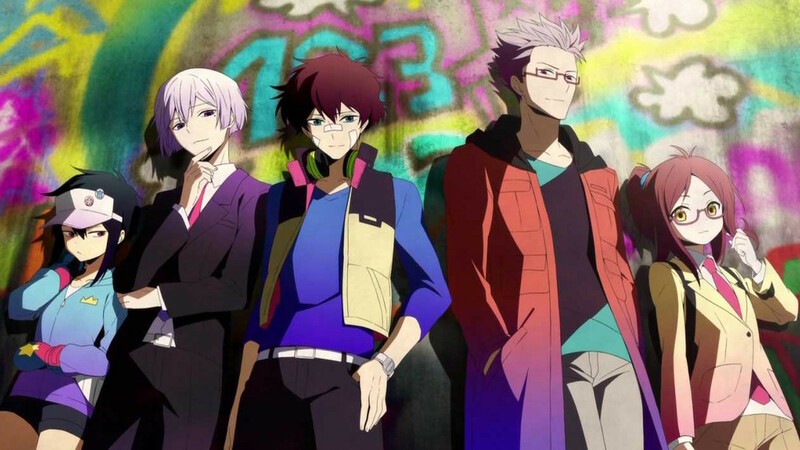 Hamatora will be available soon through select digital outlets with a home video release to follow. Sentai Filmworks is globally renowned for its exceptional marketing, producing and localizing of anime. As pioneers in distributing anime and genre entertainment they manage one of the world’s largest anime libraries, containing thousands of hours of content. Boasting hit series that include: No Game No Life, Log Horizon, High School of the Dead, and Persona 4: The Animation, their catalogue continues to grow with new favorites such as Short Peace and Studio Ghibli’s masterpiece Grave of the Fireflies.